Kids love these realistic Jurassic World Dinosaur Toys! The best known Jurassic World dinosaurs are Tyrannosaurus rex, Velociraptor, Stegosaurus, Apatosaurus, Brachiosaurus, Styracosaurus, Ankylosaurus, Ceratosaurus, Parasaurolophus, Dimetrodon, Plesiosaurus and Triceratops. 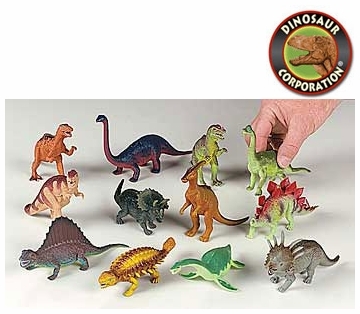 Hand a child one of these real-to-life dinosaurs, and watch his eyes light up! They are the right size for playtime and or science projects.